From Australia to Antarctica, Albany to Alaska, 2015 was filled with photographic adventures! January 2015 began with the National Geographic annual photographers’ meeting in Washington, D.C. This is always a fun event – an opportunity to reconnect with colleagues, old and new. The Jefferson Memorial and the Washington Monument, as seen from the Tidal Basin, glow in the evening light. I trained for back country emergency medicine with courses through REI and NOLS, rounding it out with CPR certification. It was an enlightening experience. The course is taught outdoors, and the weather was nice enough that it was actually fun to work through all sorts of emergency scenarios. I now am prepared to help first-responders in the event of an emergency, should one arise while I’m on assignment in a remote area. …took me whale watching in Maui. One of the best times to visit Maui is February when the population of Alaska Humpbacks migrates to the ‘Au ‘Au Channel to mate and give birth, right outside our back door. It’s amazing to sit on the beach and watch these gigantic animals frolic in relatively shallow water. If you stick your head underwater, you can hear the males singing. It’s truly magical! I took several whale watching trips and have settled on my favorite – the VIP Ultimate Whale Watch out of Lahaina. We will be returning February 2016 to go and see these majestic creatures. 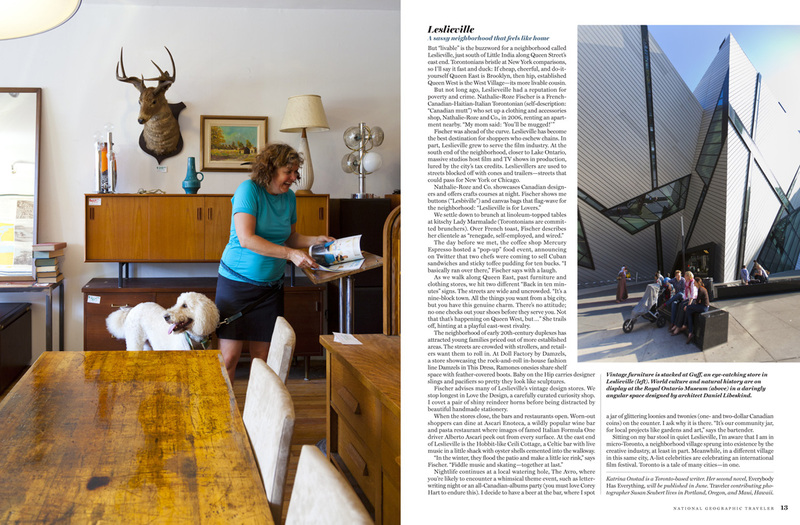 …was dominated by working with the crew at Staples on a shoot in Los Angeles. It was so fun to work on a back lot at Universal Studios plus it’s always nice to go to sunny climates for work. It was great to make new friends and I look forward to working with Staples in 2016! Our third location was on the Universal Studios Backlot. We shot on the same street where Desperate Housewives was filmed. I wonder how many selfies we all took? Happy client. Smiles all around. …opened my show, “The Fallacy of Hindsight,” at the Froelick Gallery. I was pleased with the response, and it was covered well by the press. The opening also overlapped with the highly regarded Portland photography event, Photolucida. …and we were back to our island home in Maui for a couple of weeks to enjoy the sun, sand, and surf. Mid-trip I headed to New York City to give a talk with Ralph Lee Hopkins, Dan Westergren, Bob Krist, and Art Wolfe for a very well-attended OPTIC 2015 conference. I was one of the 5 keynote speakers on the first day of the OPTIC event. Working with National Geographic, Lindblad, and B&H was a very satisfying experience. I look forward to OPTIC 2016! Speaking to a packed house with over 700 people in attendance – standing room only! … on the train from Seattle to the Jasper/Banff areas to photograph a story about the Rocky Mountaineer for National Geographic Traveler Magazine. This was a technically challenging shoot, but good planning helped me get “the shot” of the train at sunrise. It was also the first time I worked on the side of a mountain – the Via Ferrata on Mt. Norquay – where I had to photograph while rock climbing. It was exhilarating and I would do it again in a heartbeat! The weather was absolutely gorgeous, the people were fantastic, and the landscape was breathtaking. The Via Ferrata on Mt. Norquay, Banff National Park, Canada. … found me trekking across the globe to Broome, Australia, where I met the National Geographic Orion for an adventure with National Geographic Expeditions on the Kimberley Coast of Australia. The geology is some of the most unique in the world and there is an abundance of wildlife. Sea snakes, crocodiles, sharks, dolphins, wallabies, and a myriad of bird species made this trip spectacular. …exploring the inside passage of Alaska, one of the most unspoiled places on earth, is best visited by small ship. This expedition is one of my favorites. On this expedition we explored small fjords and remote islands, then transited into British Columbia where several First Nations tribes reside, including the Haida people. This area includes the UNESCO World Heritage Site of SGaang Gwaii. While anchored outside of Glacier National Park, we were treated to a display the Northern Lights. Among the amazing wildlife sightings were the rare displays of cooperative bubblenet feeding by humpback whales, the very same population that I had seen earlier in the year in Maui. … I headed to Tucson, Arizona for a shoot with the Tanque Verde Ranch and J Public Relations. I love riding horses. It was great fun riding through the desert landscape and quite a contrast to the lush green of my Pacific Northwest. There were also the unforgettable prickly pear margaritas! As a digital photographer, I must keep current with the software I use to process those thousands of files. In my experience, the finest training is the D-65 course taught by Seth Resnick and Jamie Spritzer, offered only in their home in Florida. The side benefit of the class is the great wine and food! If you are looking to take your digital workflow to the next level, I recommend this course. Castagna Restaurant has been a long-time commercial client. This year I photographed a gallery refresh for their cafe and restaurant, two of my favorite places to eat in Portland. We had a great time making images for their photography needs. This award winning restaurant is not to be missed whether you are a native to the city or an out of town guest looking to sample some of the finest Pacific Northwest cuisine. Working on the classic Castagna burger. Cucumber, Egg Yolk, nasturtium at Castagna Restaurant in Portland, OR. Nasturtium dish at Castagna Restaurant in Portland, OR. …and I’m flying from coast to coast twice in one week! I enjoyed sharing speakers’ duties with Ralph Lee Hopkins, this time at the New York State Museum in Albany, NY for National Geographic Seminars. We had a great day with good attendance. What a pleasure it is to work with personable and talented colleagues. As soon as I touched down in Portland, it was back to the East Coast to do a shoot for Smithsonian Magazine in Washington, D.C. Keep your eyes peeled for the April 2016 issue of Smithsonian Magazine. Here are some behind-the-scenes shots to give you a taste of what’s to come. On location at the Smithsonian in Washington, D.C.
Having returned from DC, I headed straight to Netarts, Oregon, where I was on assignment for National Geographic Traveler to photograph a story about salt for their upcoming issue which will feature water as a theme. Keep your eyes peeled for that one, too! Here are a few BTS to whet your appetite. A shovel full of sea salt at Jacobsen Salt Company in Netarts, Oregon, USA. The salt is harvested from sea water pumped from Netarts Bay in to their facility located on the shore of the bay. …headed all the way south, down to Ushuaia, Argentina, where I boarded the ship, the National Geographic Explorer, for 3 weeks of exploring the Antarctic peninsula with National Geographic Expeditions. Penguins, whales, seals, and ice were the dominating subjects of this adventure. Our amazing Expedition Leader, Lisa Kelley, along with the captain, worked hard to make sure that we did not miss a thing. We hiked in waist high snow, we sat and watched Elephant Seal pups, we watched Humpback Whales feeding, and then there was the ice. Blue is the dominant color, and in Antarctica we saw miles of it. Our fearless Expedition Leader, Lisa Kelley, on the bridge as we pass tabular icebergs around midnight. A “weaner” elephant seal trying to suckle at my knee in the South Shetland Islands, Antarctica. Photo by a very nice passenger. Juggling snowballs at the top of the trail at Orne Harbour, Antarctica. Photograph by guest Courtney Thompson. Thank you for visiting my blog! Please remember that these images are registered with the U.S. Copyright Office and may not be used in any form without prior written permission from Susan Seubert. Greetings! 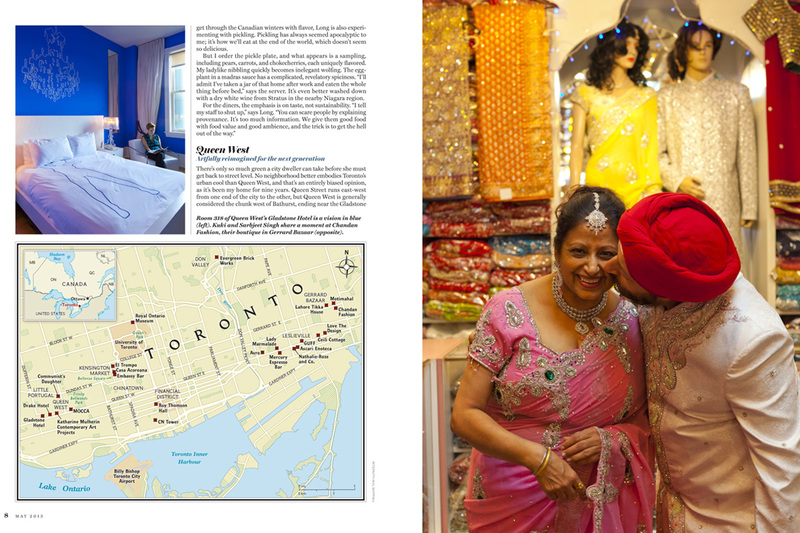 The May 2013 issue of National Geographic Traveler magazine features a story about Toronto which I had the privilege of being assigned to photograph. This was my second assignment in Toronto. 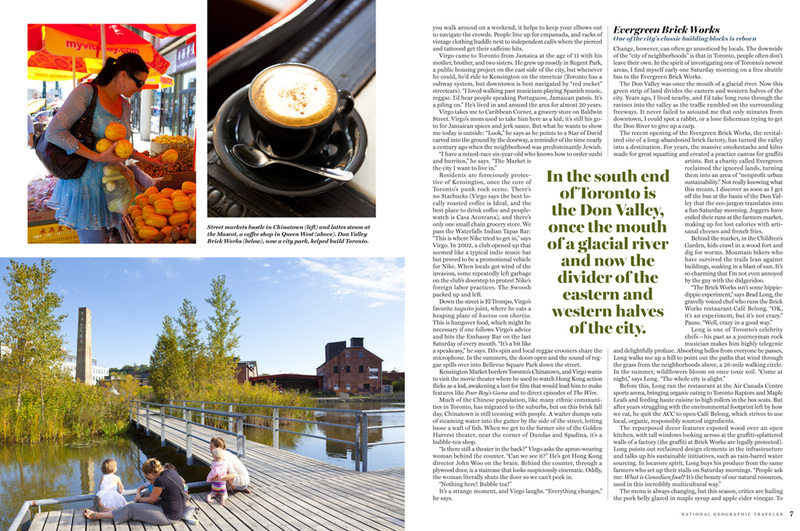 During the shoot, it was thrilling to discover such an incredible amount of diversity within the various neighborhoods. 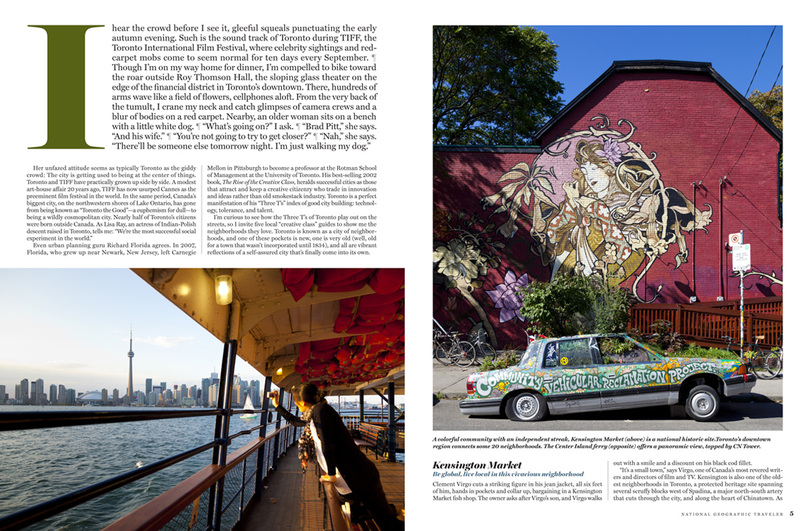 National Geographic Traveler does not have a photo gallery of this story online, so I am posting the story here as it appears in the print edition of the magazine, but I encourage you to seek out the May issue either as an iPad edition, which features more images, as well as the print edition, which is packed full of interesting articles about travel throughout the world. The best moments from this assignment were dreamy. Discovering Little India was gorgeous with its saree shops and roasted corn on the street. Queen West has a plethora of shops selling unique items from around the world along with very modern art galleries. One lovely evening, I took the ferry to Center Island and witnessed a beautiful sunset and some great views of the classic Toronto skyline. 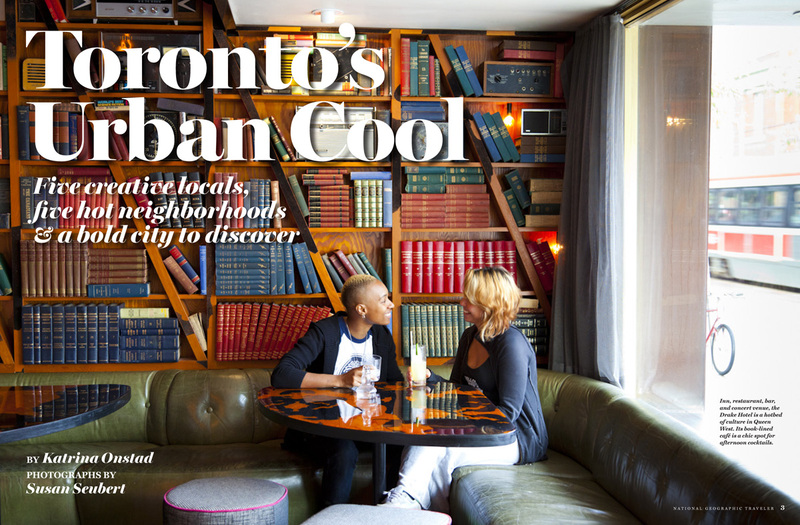 Canada is a great country and Toronto is one example of a fantastic urban area to explore. Please enjoy and thank you for visiting.